We believe that education can more directly and formally support students with some of the most fundamental life questions, in order to help them define who they are, discover their purpose in life, and shape their role and contribution to society. That is why we created a semester-long high school curriculum and class course, a school-wide event, and a student ambassador program for lifelong questioners. Our structured approach directly engages young people with some of the most critical areas of life: the choices we face, the sense of purpose that guides us, the fearlessness it takes to pursue the things that matter to us, and the larger picture we are a part of. We recognize that there are no final answers to big questions. At the same time, when young people are given the opportunity to directly address some of life’s most essential questions, they can discover real answers that will help them define the choices they make and the direction their lives will take. We don’t ask leading questions and we don’t ask questions that don’t lead anywhere. 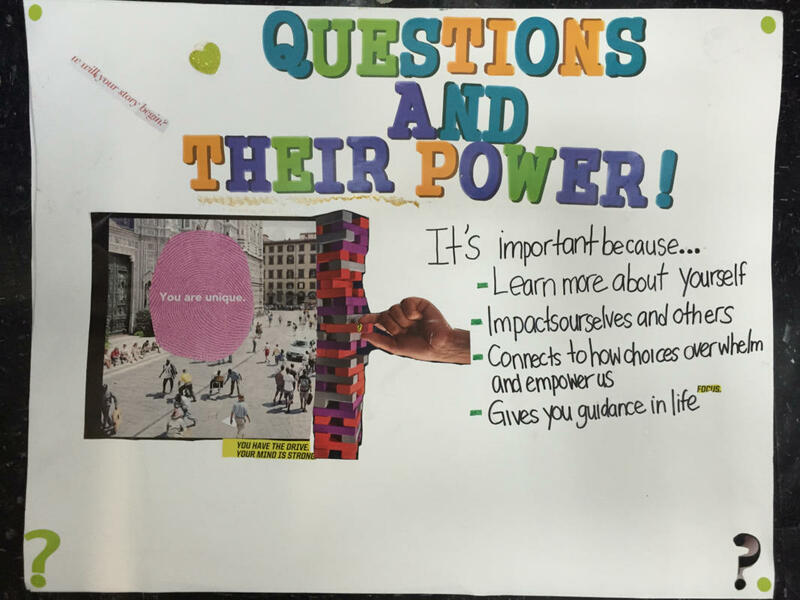 We create safe spaces where students can explore the things that matter most, and connect their individual inspiration to others and society as a whole. We do this in peer groups and classroom settings where young people can learn from each other and see their autonomy and individuality in the context of an interconnected whole. We connect the younger and older generations – students and teachers, administrations and parents – through the shared human interest in these important life questions. We believe that creating this kind of space supports young people to be who they are. They naturally develop the qualities of openness, care and more expansive thinking that tomorrow’s leaders will need. We continue to engage in an ongoing co-creative process with students, educators and schools to find the best way to integrate big life questions into education.